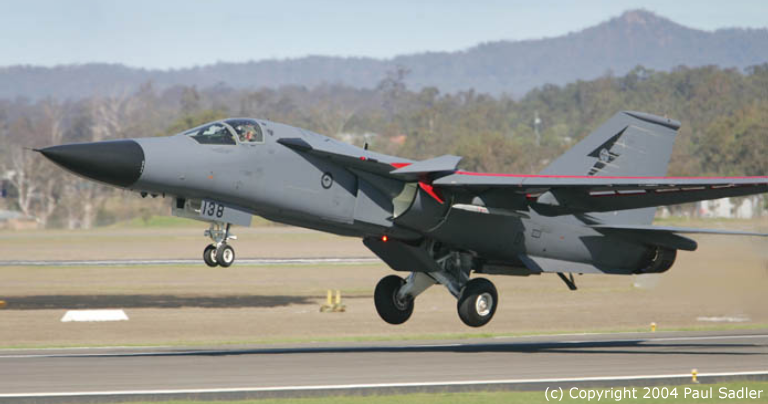 In July this year the Author had the opportunity to visit RAAF Amberley and review the most recent developments in the ongoing program of developing a domestic support base for the F-111 fleet. The F-111 is without doubt the most potent strike aircraft in the wider region and a central pillar of the RAAF’s current force structure. This is reflected in the large investment being made into support facilities at Amberley. The Weapon System Business Unit (WSBU) is the latest step in the process of ‘Australianising’ the F-111, and will absorb the established RAAF 501 WG support depot and Boeing’s Amberley operation, to form an entity which merges depot level support facilities and development / design maintenance facilities. The RAAF previously performed all depot level deep maintenance of the F/RF-111C/G fleet at the Amberley 501 WG facility, with some tasks such as Cold Proof Load Testing (CPLT) and fuel tank Deseal/Reseal operations being performed at the USAF’s McClellan AFB depot in Sacramento (SALC). Design maintenance, the process of designing/prototyping/testing modifications, fixes and upgrades, and certifying these, was performed in part by the USAF, in part by General Dynamics and in part by the manufacturers of onboard systems and equipment. Over this period the RAAF, supported in part by DSTO, developed a very respectable capability to support the basic airframe, overhaul engines and perform depot level deep maintenance and servicing of the airframe and systems. The 1990s saw fundamental changes in this well established model. The USAF decided to progressively retire its 300 strong fleet of F/FB-111A/D/E/F/G and EF-111A aircraft, and eventually closed down SALC. In turn, tasks such as CPLT had to be performed in Australia. The RAAF also embarked in the early 1990s upon the Avionic Update Program (AUP) which saw the F-111C fleet fitted with what is arguably the most capable of the second generation digital nav-attack packages fitted an F-111 variant. To support the AUP, the RAAF established the Amberley Weapon System Support Facility (WSSF), an integrated software development facility intended to provide the RAAF with the means of maintaining the AUP software and integrating new weapons and other avionics in the aircraft. The WSSF was primarily operated by Boeing Australia, under direct RAAF control. The second major change arose when the USAF buckled under political threats to the F-22, and agreed to retire its F-111 fleet. As a result the RAAF had to assume full responsibility for supporting the airframe, engines, hydraulics, electrical system, avionics and software. With the 2000 White Paper mandating F-111 operation until 2015-2020, and with no equivalent aircraft in the market currently capable of replacing the F-111 robustly, the RAAF is now in the process of bedding down a complete domestic support infrastructure to fully maintain the aircraft over this period. The support infrastructure at Amberley is now divided into several core elements. The Engine Business Unit (EBU) is run by the RAAF, the Avionics Business Unit (AVBU) by Honeywell and the WSBU by Boeing’s Aerospace Support Facility - Amberley, or BASC-Amberley. The WSBU is the largest single unit, and encompasses the facilities and staff of the WSSF, Boeing’s design engineers and software developers, and the former RAAF 501 WG depot. The new CPLT hangar/facility, being at this time commissioned by Lockheed-Martin, a new paint shop hangar provisioned for robotic equipment, and a new Deseal/Reseal hangar will all be eventually incorporated into the new WSBU. The WSBU integrated facility model is unique in the Southern Hemisphere, and bears some resemblance to the style of facilities built up by the very independent Israelis, who like to integrate their own weapons, systems and electronic warfare equipment on basic US airframes. The model of integrating design and support facilities has a well established history overseas but is new to Australia. What it offers is significant economies over the traditional model, by providing a direct interface between the design engineers and software developers who maintain the design and the depot engineering teams who maintain the aircraft. The long lines of communication across organisational boundaries, between a service operated depot and contractor operated design/development labs and manufacturing plant, are removed in this scheme. The aim is to produce a seamless organisational structure, where the expertise of designers and software developers can contribute to the support and maintenance tasks, and the expertise of experienced maintainers and operators can contribute to the software development and hardware design maintenance tasks. The F-111 fleet is arguably Australia’s most valuable combat asset, equally useful in strategic and tactical roles. With the retirement of the USAF fleet, the RAAF has in effect replicated the key USAF SALC support infrastructure elements at Amberley. These include Cold Proof Load Test, Deseal/Reseal, weapon system software development facilities and engineering design facilities for modifications and engineering support. These capabilities are now being merged with the former RAAF 501 WG support depot to create a fully integrated weapon system support and development/design facility, in the Boeing operated WSBU (RAAF). The current series of block upgrades to the F-111 provides a series of interim and long term EW system enhancements, and the capability to launch the potent AGM-142 SOW (top). Given the type of interface on the AGM-142 SOW, this upgrade provides the avionic components required to support the planned AGM-158 JASSM cruise missile (bottom), as well as the new JDAM/SDB family of guided bombs (Rafael, LM). The WSBU thus aims to combine the best attributes of both traditional facility models into a single package. The RAAF’s venture into an integrated support philosophy has potential to yield very large long term savings in the support of the aircraft. This is because components which have or develop high failure rates can be progressively ‘engineered out’ of the aircraft’s design. Even a simple failure like a cable connector or a fitting on some plumbing which frequently downs an aircraft hurts operational availability. The other side of the economic equation is the cost of ongoing evolution of the aircraft’s avionics, systems and weapons package - an inevitable reality for all modern platforms in a world driven by Moore’s Law and rapid development and evolution in avionics, software, weapons and electronic warfare techniques. Bringing the operators, maintainers and designer/developers together provides an environment where modifications can be devised, prototyped/tested and installed rapidly and efficiently. The US effort which led to the design, prototyping, testing and operational deployment of the GBU-28 bunker buster on the F-111F in an astonishing 6 weeks was the result of an ad hoc ‘integrated’ organisational model which brought designers, maintainers and operators into a tightly coupled team environment. The new WSBU model is a formal implementation of this very same scheme. The WSBU model is similar to the traditional contractor centred ‘Skunk Works’ approach, but extended in scope to encompass also the F-111 support facilities. Boeing Australia are the preferred tenderer for the WSBU facility. BASC - Amberley are currently accredited to ISO 9001, and are a ‘Designed Approved Contractor’ under AAP 7001.053 in the areas of F-111 systems engineering, flight and weapons avionics, non-primary structural design, and minor ECS design changes. BASC - Amberley are working toward full accreditation in F-111 engineering design, primary structures, hydraulics, simulation, fuel system, oxygen system and accessory systems. Other than the cited facilities, Boeing also perform full Electromagnetic Compatibility Testing (EMC), using techniques developed for the integration of the systems in the B-1B. The core of Boeing’s design and software development facility is clustered around the original WSSF facility. Boeing now have a team of 120 design engineers including 11 software developers, involved in an ongoing series of upgrades to the F-111’s systems, formally termed the Block Upgrade Program (BUP). The integrated model is formally known as the ‘Integrated Product Team’ approach. A product team, comprising team members from the various contributing groups, is involved throughout the progressive phases of engineering design and development, prototyping and eventual production. Boeing and 501 WG developed a technique of overlapping the prototyping/test phases for modifications and upgrades, and the progressive fleet modifications, with scheduled depot maintenance tasks on the F-111 aircraft. In this manner, aircraft which are scheduled for depot work come out with a block upgrade performed in addition to the planned maintenance tasks. Since all aircraft are repeatedly cycled through the depot after several thousands of hours of operation, this model minimises the number of aircraft which are in the depot for upgrade modification work. This strategy is now a central part of the new WSBU model. The F-111 fleet is now in the midst of the ongoing BUP upgrades to improve maintainability, capability, support new weapons and eventually replace the original EW package. Block Upgrade C-1 is the AIR 5225 AUP which is now complete. Block Upgrade C-2 is the AIR 5391 Phase 2 installation of the ALE-40 chaff/flare dispenser, and the AIR 5391 Phase 6 adaptation and installation of the upgraded ALR-62(V)6/7 as an interim radar warning receiver. The TRW ALR-62(V)6/7 is a major upgrade of the original Dalmo-Victor ALR-62 with additional hardware. Block Upgrade C-2A was the trials aircraft modification for Full Scale Engineering Development of the new DSTO/BAeA ALR-2002A (AIR 5416) radar warning receiver. The ALR-2002A was designed around the F-111’s ALR-62 antenna package and is a modular 6 channel ‘drop-in’ replacement for the ALR-62, using the latest technology and a Mil-Std-1553B bus interface. The trials were considered highly successful. Block Upgrade C-3 incorporates the new digitally controlled ALE-47 dispenser, the digital Terma ALQ-213 EW Management Unit, a Voice And Data Recorder (VADR), and a DFCS upgrade. Block Upgrade C-3A adds the Elta EL/T-8222 jamming pod. The EL/T-8222 is a state of the art jammer which includes Digital RF Memory (DRFM) technology and replaces the aging ALQ-94 defensive jammer as an interim EW upgrade. Block Upgrade C-4 provides the capability to carry the AIR 5398 Rafael AGM-142 SOW and associated datalink pod, as well as new communications equipment. The AGM-142 upgrade is extensive, and incorporates a new ‘Bold Stroke’ style high performance VME/COTS mission computer (System Integration Processor - SIP) similar to that used in the new build F-15E+ and F/A-18E/F, additional Mil-Std-1553B data bussing. This upgrade is vitally important since the SIP capability will reduce the cost of integrating future weapons such as the JASSM and JDAM/JDAM-ER down to software changes and clearance testing while providing a long term migration path for future enhancements of the mission computer software. Block Upgrade C-5 is intended to integrate the new AGM-158 JASSM (AIR 5418), the GBU-31/32/35 JDAM GPS guided bomb (AIR 5409 Bomb Improvement Program) and probably later the winged JDAM-ER if introduced. Other C-5 components will include GPS enhancements and a satellite communications link. Block Upgrade C-6 is tentatively planned to add air combat training system support, expanded reconnaissance capabilities and importantly, the full EW package budgeted for in the White Paper (most likely the ALR-2002A and a new technology internal defensive jamming package). This series of block upgrades will bring the F-111’s avionic and other systems up to the same standard seen in new build combat aircraft such as the F-15E+, F/A-18E/F, F-16C/B60 or Typhoon, replacing a large proportion of the established seventies technology avionics with state-of-the-art digital equipment. The only remaining analogue components will be the radar package and cockpit instrumentation. What is of key long term importance is that this further phase of systems digitisation will result in a highly maintainable, reliable core avionic package which will be supportable until at least 2020. The value of the upgrades performed under the BUP cannot be understated, as these provide the F-111 with an avionic system capable of ongoing longer term incremental evolution. The RAAF deserves much credit for this farsighted strategy - the alternative would have been spiralling costs and poor reliability. The complexity of the integration and design effort currently in progress on the F-111 has no precedent in Australia and is comparable to work done in the US, UK, France, Germany or Israel. Australia has not been a serious player in this game since the days of the Avon Sabre, and the F-111 block upgrade program is the first serious domestic systems engineering program seen for many decades. It will provide immeasurable long term benefits in producing a pool of engineering experience and knowledge only seen to date overseas. In a strategic sense, the support and integration facilities and experience base at Amberley will result in a genuinely independent capability for the RAAF, providing the kind of domestic self reliance which is such a prominent feature in the political debate, yet so infrequently seen in practice. Other long term benefits inevitably flow from the WSBU effort, since it provides an environment where Australian engineers can develop and maintain world class integration experience, while it provides high value added long term employment in the South Eastern Brisbane and Ipswich area. Critically, the WSBU/BUP keeps taxpayer’s defence dollars in Australia rather than sending them overseas as occurs with so many other defence programs. With Australia’s political leadership collectively espousing policies in which high value added ‘knowledge based’ industries are given the prominence they deserve, the developing RAAF Amberley facilities should be placed in this context - a key national asset and a model which should be emulated for other defence programs. The RAAF can justifiably take pride in this important accomplishment.